It’s Warren Buffett’s birthday today, so I thought I would look at advice he has offered. Buffett has amassed an enormous fortune from astute investments managed through the holding company Berkshire Hathaway, of which he is the largest shareholder and CEO. With an estimated current net worth of around US$52 billion, he was ranked by Forbes as the third-richest person in the world as of April 2007, behind Bill Gates and Mexican businessman Carlos Slim Helú. In any event, Buffett has given away more free advice than just about any billionaire I can think of. He reports his stock holdings and discusses their merits and the reasons for his choices in his popular annual letter to shareholders. More fundamentally, he has laid out his investment philosophy repeatedly for all to see. Anyone can piggy-back his actual stock selections or apply his criteria to come up with other investments, as I've done periodically in this column. What's the number-one attribute Warren Buffett, arguably one of the most successful investors in the world, looks for in a company? "Sustainable competitive advantage," he told an interviewer. If one of the most successful businessmen of today puts this at the top of his list, you should too. When I stop at a roadside farm stand, my first assumption is that they are selling home-grown fruits and vegetables from their own fields. But when a New York farm stand has mangos and lemons? And sells t-shirts too? That's a totally different experience. This recent Treehugger blog post, Farm Stand Produce Not Always Local , refers to a Newsday article, Farm Stands on Long Island Undergoing an Evolution , and discusses that while Long Island is known for its local produce, many farm stands are importing their products from as far away as Florida and Mexico, and are not limited to selling only fruits and vegetables. Whether or not this is a good thing for local agriculture, retailers, or consumers, farm stands are an evolving business. Answering the office phone at the end of the day is often interesting. Last week, the Central office received a call from Michael Raptis, casting director of RDF Media Group. As the press release he subsequently sent me reads: "Key US RDF/Pangea shows include: Wife Swap (ABC); Shaq's Big Challenge (ABC); Two Coreys (A&E); Meadowlands (Showtime); Off The Charts (Fox); How to Look Good Naked (Lifetime); Banzai (G4); 3 Kings (MTV); Ice T's Rap School (VH1); Junkyard Wars (TLC); Faking It (TLC); Gene Simmons Rock School (VH1); Ladette to Lady (Sundance)." Have you always wondered how wonderful life could be if you started that business, took that hobby more seriously or changed your career? Is there anything you always said you'd do once your kids got older? For many people in their 40’s and 50’s, the time has come to restructure their life and do something they’ve always dreamed of...it could be anything from owning a Bed & Breakfast to running a Scuba Diving School in the Caribbean. Our show, "Life Begins at 40" will give a husband and wife team an opportunity to Road Test their Dreams. If you are seriously considering making a change then we’d love to talk to you about our show. So Mr. Raptis was calling the NYS/SBDC looking to find potential participants. 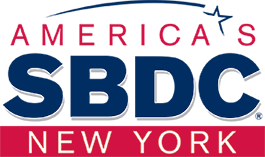 I've worked for this organization for nearly 15 years, so I felt comfortable suggesting that a formal relationship between the NYS/SBDC and RFD Media was unlikely. Yet, I was intrigued by the concept for the show: would-be entrepreneurs "test-driving" a business opportunity. The SBDC program is always measured by what economic impact it generates; I wish there was some measure for the help the SBDC provides in keeping people ill-equipped for business from losing their shirts. So, I wrote back to Michael Raptis, asked about gay couples, and he replied: "I would more than happy to speak to any couple who you feel would be great for the show." RDF Media Group (RDF) is one of the largest and fastest-growing production companies in the world, headquartered in London, with large offices in Los Angeles and New York. RDF has produced a wide range of outstanding drama, comedy, reality, game and children's programming for all of the broadcast and cable networks in both the US and the UK. RDF has won numerous awards for its programming including a number of BAFTAs, Royal Television Society awards, the Rose d'Or and an International Emmy. RDF group companies won Broadcast's Best Independent Production Company award in 2002, 2003, 2004 and 2006. RDF is the only producer to win this award more than once. Some clients have businesses that could benefit in knowing the names of newly-created companies. The Division of Corporations (within the New York Department of State) makes available a daily report of newly registered corporations, limited liability corporations, and limited partnerships. It's not EVERY new business in the state, but it's a start. Your computer must have Adobe Acrobat Reader to review and print the report. You will be notified of the date of expiration of your subscription. Payment must be made by check, bank draft or money order to the DEPARTMENT OF STATE. sample will be forwarded via e-mail within 2-4 business days. "So what I thought of is a transponder for each family. When we arrive at the school driveway, our ID and our kid(s) name(s) are displayed on a message board, in the order in which we arrived. Also, a pager attached to the child's shirt would beep, vibrate, and, optionally, pound the oblivious nincompoop on the noggin with a mallet, shouting "Your ride's here, you meathead!" (OK, not the mallet, but the verbal message would be good)." Perhaps our inventor friends could have a look on here before along with their patent searches to see if a similar product already exists. At the very least it is good for a laugh. If you look to the right-hand side of this screen, you just might see a new feature we've added. There's a widget here that links to our new LibraryThing collection. LibraryThing is an online community that allows members to catalog their own book collections. You simply enter the title, or ISBN etc., and it finds the appropriate catalog record for your book, links you to others who own the same book, and can also make book recommendations and provide other user-advisory-type services. A user can enter up to 200 books for free. As our circulating collection isn't particularly large, we thought we'd give it a try. So, check out our library collection. The goal is to include all of our circulating books from this decade, but its a work in progress. Still, take a look, use the search feature, and if you find something you're interested in, send us an email and we'll send it your way. NASA offers 40 hours of free technical advice to businesses. Small Business Administration chief Steven Preston announced reforms aimed at cleaning up a broken system for keeping track of government procurements that has allowed federal agencies to classify billions in contracts to some of the world's largest companies as going to small businesses. "Whole Foods Market, a national grocery chain with seven stores in New York, recently started a new program to provide low-interest, long-term loans to small producers around the country. We would very much like to let small producers of food products in New York know about the program." Part of this company's mission is that their produce be as fresh as possible, and make these loans available to farmers of "locally grown" produce (for reasons best explained here). Of Whole Foods Market's seven locations in New York State, none are farther north than White Plains. However, they define "locally grown" as "produce that has traveled less than a day (7 or fewer hours) from the farm to our facility." Eligible products include agricultural crops, value-added food products, and other all-natural grocery items. This definition, then, makes most of the food producers in New York for their Local Producer Loan Program. They have quality standards that have to be met, and require applicants to have a viable business plan. Further details on the program (description of amount, rates and terms; link to an application; contacts for additional information) can be found here on Whole Foods' website. The email to Tom ended by saying, "We are very excited about the opportunity to help small producers, but our biggest challenge so far has been spreading the word." With this, I'm spreading the word. Pass it on. Commissioned by Capital One and conducted by BusinessWeek Research Services, the survey looks at confidence, expectations and hopes of small business owners. colleague, family or friends, CPA or accountant, business association followed by consultant, lawyer, commercial lender and other. How Would You use $50,000 to Improve Your Business? How Did You Start and Then Grow Your Business to its Current Level? Today's New York Times features the article "At Netflix, Victory for Voices Over Keystrokes". It discusses how the online movie rental business is trying a new tack (actually, they're returning to an old tack) vis a vis customer service: the telephone. The company has de-emphasized its email address on its website, and has heightened the presence of a toll-free number that is available 24/7. In addition, the call center is located just outside of Portland, OR, and not in India or Singapore. I find this interesting on a few levels. Netflix believes, in the face of increased competition from Blockbuster's new online service, that they should promote the actual voices of friendly customer service reps as a distinguishing characteristic not found at Blockbuster. This kind of emphasis is something that the business literature has recommended to small businesses in the face of big-box competition, but Netflix still is the market leader in this industry. So - does locating the call center in Portland tap into an American desire to hear American voices? Is there a Bangalore backlash? Will running the center in the U.S., where the company is paying above-average wages for the industry, eventually hurt Netflix, or help them? These are likely the kinds of customer-service questions that are discussed in board & staff meetings across the country, and I'm very curious to see where it leads. In the mean time, I'm off to update my queue . . . I tend to write “thanks” a lot. And not just because I’m a grateful person (although I am). It’s just my usual email sign-off, probably because I tend to be asking for things, or thanking you all for asking us great questions. Maybe I should start expanding my repertoire. This recent article from Entrepreneur.com discusses a variety of email closers, and what they say about you. Here’s an older USA Today article on the subject. Ofttimes, I see someone send a URL via e-mail and it spreads onto the second line of the posting. The first line of the address is hyperlinked, but the second is not. This becomes cumbersome for the end user. See if the address can be manually shortened. I've noticed that in some newspaper and magazine databases, an address is created to indicate not only the story, but the section and the date. If removing that information still gets you to the story, shorten it. An example: http://timesunion.com/AspStories/story.asp?storyID=613944&category=FRONTPG&BCCode=HOME&newsdate=8/14/2007 can be shortened to http://timesunion.com/AspStories/story.asp?storyID=613944, and is actually more likely to work over time, for some arcane reasons. The other method is a website TinyURL!™. Put in even that shortened, 57-character, version of the URL above and you'll end up with http://tinyurl.com/yrwmgk, a more manageable 25-character URL. A big part of how successful we are at finding information is having the correct terms. We generally hope that the client will be knowledgeable enough in their field to provide some good key words but of course this isn't always possible. We hear of business incubators often enough but kitchen incubators are becoming more prevalent. I worked on a request yesterday for a a list of commercial rental kitchens in the NYC metro area. The examples I came across were not all in NYC area and there were a few good pieces on a kitchen incubator in San Francisco that I thought were interesting. I thought I'd share what I found here. rents a "4,000 sq ft state-of-the-art, commercial kitchen space." They serve the New York City metropolitan area especially aimed at women and minority businesses. They also state that "tenants are required to incorporate in order to secure insurance covering product liability. Some of their clients have been Curry Source, Brooklyn; Nana Pearl's, a desserts baker; and Artful Bakers, artisanal bakers. Here are a few articles on the trends, both happy and not so. A service in Long Island City for small to medium size food producers - kitchen rental, with several kitchens to choose from, available to rent day and night. This organization offers advice and support to growers, food producers, and a copacking/contract manufacturing capability. Can you walk from your home to a grocery store, library or movie theater? How about from your office? Check out Walk Score to determine just how pedestrian-friendly a location might be. You simply enter an address into the search field, and the site offers a "walk score" based on the proximity of parks, shops, restaurants, schools and all those other necessities. The site's mission: "We help homebuyers, renters, and real estate agents find houses and apartments in great neighborhoods. Walk Score shows you a map of what's nearby and calculates a Walk Score for any property. Buying a house in a walkable neighborhood is good for your health and good for the environment." I'd think it would also be useful to a business interested in attracting foot traffic, and wanting to know about nearby facilities. The site recognizes that it's algorithms can't account for features like highways or bodies of water that might make a route impassable on foot. But it's still a great way to approximate walk-ability. How Much Should Small Business Officers Pay Themselves? From Hispanic Business: "Are there industry guidelines for how much officers of small companies [less than 10 employees] should pay themselves? Would it be 1% of sales? 10%?" Spam Spam Spam Spam . . .
Last week's issue of The New Yorker features an article called "Damn Spam" - an unnerving piece that traces the recent history of this email plague. * "In 2001, spam accounted for about five per cent of the traffic on the Internet; by 2004, that figure had risen to more than seventy per cent." * "The onslaught apparently began on April 12, 1994, when two lawyers . . . bombarded the Internet with e-mail offering their services to immigrants . . . The two later claimed that they made a hundred thousand dollars from the e-mail campaign - a compelling demonstration of the peculiar economics of the Internet." * "The more spam that is blocked, the greater the volume spammers will need to send in order to make money. If you used to have to send fifty thousand pieces of spam to get a response, now you have to send a million. Spammers just shrug it off and send a million." * "Spammers today almost never use their own computers or Internet connections. It is rarely necessary, since they can seize control remotely from computers all around the world." We compile a lot of business lists here for our clients, presumably so they can conduct mailings. Direct mail costs money, and doesn't guarantee much success. Mass emailings, though, cost but a fraction, and can be accomplished virtually anonymously. Oh, boy. The article also details the challenges faced by the people who design anti-spam software, and the constant cat-and-mouse games they play against an invisible opponent. My in-box isn't nearly as loaded with spam as it once was, and I'm grateful to those people who fight the fight. As one of them says at the end, "It's kind of like war. One side eventually gets tired. And we just can't let it be us." "You may have the greatest company in the world. But if you don't know how to convey that to customers, you may as well not exist." Duct Tape Marketing, one of my favorite sites talks about an interesting idea in a blog post of theirs. You've probably seen these as they are popping up everywhere. In iPhoto (if you use a Mac) you can order your photographs nicely put together in a book. Wedding pictures are also offered in this format to deliver your digital memories. This blog suggests the use of polished books for businesses to use to sell themselves. Blurb shows some nice examples of how the books could be used. A sophisticated way to tell your story. Web 2.0: Hip or hype? Thus begins “MySpace, Second Life, and Twitter Are Doomed” a recent PC Magazine article by Lance Ulanoff. We’ve mentioned a lot of Web 2.0 applications lately, but are they really the wave of the future, or just a lot of hype? The author argues that MySpace pages are ugly, and sometimes dangerous. Second Life may not be as big as reported, and Twitter is way too random and useless. As a librarian, I feel there’s a purpose in exploring all sorts of information sharing opportunities, since that’s what we do, and we want to be where our users are. And I also enjoy looking up kids I went to high school with. But while I may have a MySpace page, I rarely go there, and I don't feel any great sense of community. Second Life seems pretty neat, but I don't see myself ever wanting to spend real money there. So, should your clients build a small business presence in Second Life? We’ll just have to see how these things pan out.